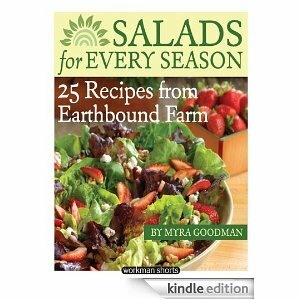 Download your free copy of the Salads for Every Season: 25 Salads from Earthbound Farm: A Workman Short Cookbook on Amazon to your Kindle. Not all of the recipes are allergy-friendly but they are easily adaptable. Don’t have a Kindle? You can also dowload Kindle books to your Iphone , PC, Mac, or Blackberry.